Yeasts are the active agents responsible for three of our most important foods - bread, wine, and beer - and for the almost universally used mind/ personality-altering drug, ethanol. Anthropologists have suggested that it was the production of ethanol that motivated primitive people to settle down and become farmers. The Earth is thought to be about 4. 5 billion years old. Fossil microorganisms have been found in Earth rock 3. 3 to 3. 5 billion years old. Microbes have been on Earth for that length of time carrying out their principal task of recycling organic matter as they still do today. Yeasts have most likely been on Earth for at least 2 billion years before humans arrived, and they playa key role in the conversion of sugars to alcohol and carbon dioxide. Early humans had no concept of either microorganisms or fermentation, yet the earliest historical records indicate that by 6000 B. C. they knew how to make bread, beer, and wine. Earliest humans were foragers who col- lected and ate leaves, tubers, fruits, berries, nuts, and cereal seeds most of the day much as apes do today in the wild. Crushed fruits readily undergo natural fermentation by indigenous yeasts, and moist seeds germinate and develop amylases that produce fermentable sugars. Honey, the first con- centrated sweet known to humans, also spontaneously ferments to alcohol if it is by chance diluted with rainwater. 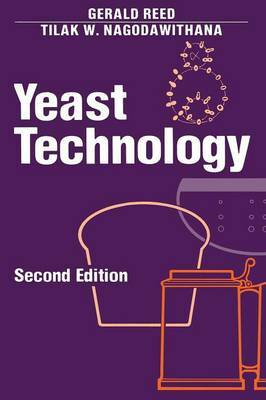 Thus, yeasts and other microbes have had a long history of 2 to 3.